This week I had the opportunity to testify in favor of Senate Bill 307 at a public hearing of the Oregon Legislature’s Joint Committee on Marijuana Legalization. SB 307 concerns the social consumption of cannabis in licensed, regulated lounges with adjacent outdoor areas for smoking. I am adamantly in favor of this legislation because of the positive impact it would have on public health and safety and our state’s economy. As a parent, I support SB 307 because it is the responsible thing to do for our children. While it is certainly a compromise, it is an important step toward a cohesive social use policy for the citizens of Oregon and visitors to our great state. We are hopeful that the Committee agrees and will advance this bill to be voted on by the full House and Senate. You can read all submitted testimony here, including statements of support from Portland Mayor Ted Wheeler and Commissioner Chloe Eudaly and former NBA player Cliff Robinson. I submitted the following testimony and presented an abbreviated version at the public hearing. Good evening, Madame Co-Chairs and Members of the Joint Committee on Marijuana Legalization. My name is Jennifer Lauder, and I am an educator, a business owner, a writer, and, most importantly, a parent in Portland. I spent the first 15 years of my career as a classroom teacher, an educational leader, and a teacher trainer in independent and public schools, and as an advocate for children and families, analyzing programs and policies to determine best outcomes for vulnerable populations and those without a political voice. 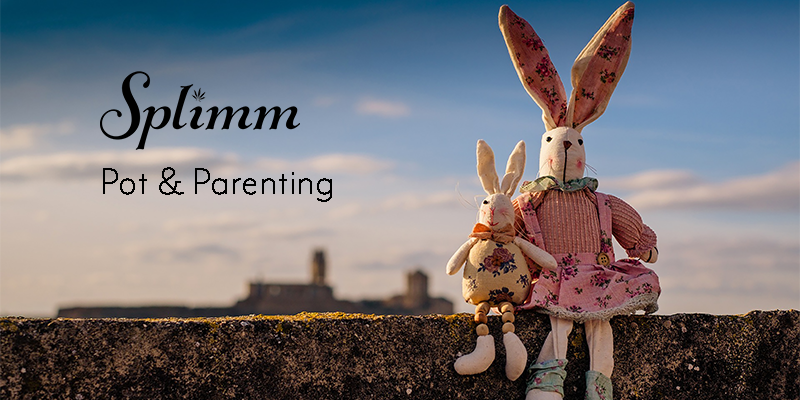 I am also the co-creator of SPLIMM, a digital resource for parents who choose cannabis, and I use this platform to promote responsible cannabis consumption and engaged, mindful parenting. I have dedicated my life to supporting and empowering youth, and my interest in the cannabis movement is motivated by my understanding that regulation is indeed better for our children than prohibition and drug war mentality. I am here today in support of SB 307 because a sensible social consumption law is the missing piece in Oregon’s regulatory framework. I believe a workable social consumption law will bring significant economic opportunities to our state while positively impacting public health and safety, particularly the health and safety of our children. I want to thank you for considering the issue of cannabis so thoughtfully here in Oregon and deciding that the effects of legalization are preferable to the effects of prohibition. We know legalization is working here. Our progressive approach has made us a bellwether in this emerging industry and will surely serve as a model for other states in the future. But the “grey area” situation created by legalizing the purchase and consumption of cannabis while continuing to prohibit social use does not benefit our communities and is clearly not tenable. As a parent and an educator, I know that children need honest, open, age-appropriate information about complex issues such as cannabis and substance use. My family moved to Oregon because of the resources this state offers to both our business and our daughter. We sought the opportunity to educate her about the science and laws around cannabis in a community that supported our position and didn’t see us as criminals, diminishing both our actual legal risk and the moral ambiguity of operating a cannabis business in a prohibition state. Currently, our efforts – and the efforts of many parents all over Oregon – to teach children about cannabis science, responsible adult cannabis consumption, and progressive drug policy are undermined by this grey regulatory area. We live a few blocks from Glenhaven Park, a beautiful public space a short distance from both Roseway Heights Elementary/Middle School and Madison High School. We use the park on a regular basis, and it is rare that we don’t see someone consuming cannabis, or the remnants of cannabis having been consumed, there. At bus stops, parks, and playgrounds, we witness public cannabis consumption on a regular basis, which contradicts what we believe and tell our daughter about the benefits of regulation. The challenge for parents, then, is two-fold. In addition to the problem of inappropriate public consumption, parents who wish to responsibly consume cannabis are left with very few places outside their homes in which to do so. Many of us don’t want to expose our children to second-hand smoke, and many of us prefer to keep our consumption private. We deserve access to safe, legal spaces away from children, for responsible social cannabis consumption. Finally, the lack of social consumption legislation has the most significant impact on marginalized populations. It is a generally accepted precept – supported by statistics from across the country – that minorities and poor people are disproportionately targeted and arrested for cannabis crimes, including and especially public consumption. These are often the same people who face eviction or arrest for consuming cannabis in rental homes or public housing, leaving even medical patients without any place to safely consume the cannabis they legally obtained. This further destabilizes already underserved communities and families, and, of course, negatively affects the children in those situations. SB 307 would ensure that children are not exposed to cannabis consumption and smoke, and that their parents and other responsible adults have access to places away from minors and the public eye in which to consume. It would guarantee access to consumption sites only by consenting adults. If enacted, the legislation should reduce the number of people who consume in public, offering reasonable rights to responsible adults while shielding our children from exposure to cannabis smoke. This will certainly benefit the public health and safety of our citizens, our communities, and our children. Thank you for your time and your consideration of this bill. I urge you to vote YES on SB 307, and I hope to continue to dialogue with you about this important cannabis policy issue. Be ready! We are optimistic that this bill will advance out of the Joint Committee on Marijuana Legalization and will be put before the full House and Senate for a vote. When this happens, we’ll need YOU to call your representatives and urge them to vote YES on SB 307. Stay tuned for more info! Happy Mother's Day, Splimm Mamas!